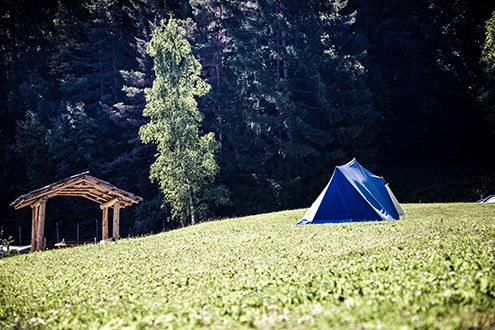 Whether it’s a summer camping trip or an overnight guest — we know you’re looking for the right air mattress for your needs! Today’s best air beds have been made to withstand damage while still rivaling the comfort of a regular bed. That is something is unheard of until now. So, strap your boots on and let's get going with it. 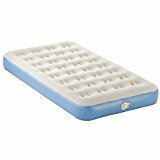 But where do you start when it comes to selecting the best air mattress? Below we’ll discuss three of our favorites products that we have thoroughly reviewed. When you’re done reading this page, you’ll be able to make a smart decision and choose the best one for your budget and situation. You’ll be presented with legitimate facts about our favorite models, unlike some websites that create a bunch of marketing hype to convince readers to buy their products. ​On our review of these amazing air mattresses, we have taken into account the quality, pricing, durability, comfortability, and features for all the best ones that are currently on the market right now. Having said that, rest assured that the ones these products are top-notch in quality and design. You will get your money's worth if you purchase any of these quality beddings. There is no doubt about that. We compared many models and took all their features into consideration before choosing the ones that we believe are the best. Below are some of the questions that we asked to find the best model. The Sound Asleep Air Mattress is perfect for people who need extra comfort. It’s extremely durable and utilizes a Comfortcoil technology for maximum comfort. This is one of the absolute best that you can find on the market. It’s perfect for guests, and some customers even use this as an alternative to regular blow-up beds. The bottom of it is coated with “Sure Grip,” a layer of anti-slip rubber that sticks to the floor, and makes them more sturdy and secure during the night. The Sure Grip material also helps make this safer for children who like to move around. That is why we like Sound Asleep Air Mattress so much, it's a safe and reliable option for buyers, and not to mention very cheap for its quality. In addition to Sound Asleep Air Mattress being awesome, it’s completely waterproof, durable, and comes with a one-year warranty – or money back guarantees. The air pump is fast and efficient, just plug it into an electrical outlet, flip the on switch, and watch as it immediately inflates in front of your eyes. The air pump can increase it in less than 4 minutes. It can also deflate it with ease. It’s cheap – under $150. It’s thick, no need to worry about hitting your back on the tiles. It’s about 19 inches thick. So if you’re the type of person who needs extra comfort — this inflatable model would suit your needs. It’s also affordable, thick, and slip resistant. The thickness provides a safe protection from the hard surface of the floor, soft enough to provide comfort, but also firm enough to provide stability for your back. Deflated, this weighs about 20lbs. If you’re looking for a light option for trips this is not the one you’re looking for. Leaks are after a couple of days. Some find it smells like plastic. Previous buyers were very impressed by the level of comfort they found in this bed. They said that it’s even comfortable for extended stays, and you only need to top up the air every few nights. It’s very low-maintenance, and buyers loved having the pump built-in. They said it’s super convenient and makes packing this one much simpler. We think this one will be perfect for you if you’re looking for the other bed to sleep on or want to make sure your guests are comfortable. This is probably not for the light traveler or camper but perfect for the more everyday user of this kind of bed. 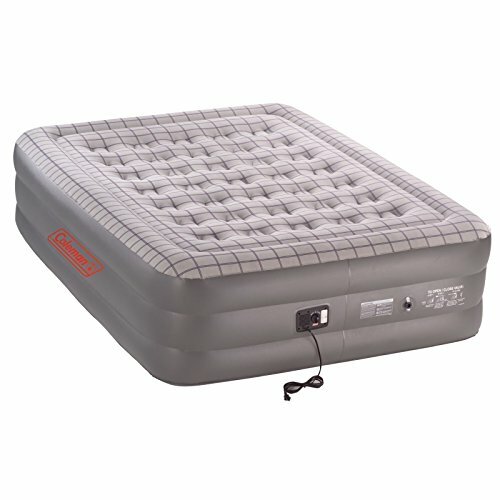 The Sound Asleep Dream series is certainly the best air mattress for everyday use. There is no doubt about that. We have gone through the best products available, and it keeps coming out on top for all the right reasons. You won't regret purchasing it for your everyday use. The AeroBed Air Mattress comes with an automatic air pump. This is one of the basic models, but it’s an excellent cost if you’re not trying to sleep on it every night. Aerobed Air Mattress is cheap, and if you don’t have the budget for a fancy one, this could be the best solution for your situation. It’s also a solid choice for those on the go. It is smaller and much lighter than others, and can be placed in a backpack with no problem; it only weighs 8.8 pounds. It’s not the best model on the market, but it’s decent quality, and comfortable. You can't go wrong with the Aerobed Air Mattress, that is why we have reviewed it on our website. And, if you want to read more about our Aerobed reviews then you can keep reading this page as we have the more best blow up mattress reviews coming for you. Light - Only 8 Pounds! So if you’re looking for an affordable and light option then this is probably the right one for you. This model is ideal for people who are on a low budget and want to create some additional sleeping arrangements. It's cheap but surely provides quality that cannot be matched by other top models. Not particularly thick, it’s easy to hit the hard surface of the floor with this one. Loses air more easily than a higher quality model. The rubber is bare – and it can be uncomfortable. But this problem can be solved easily by placing a sheet over it. Previous buyers say the Aerobed holds its firmness for several nights in a row without deflating noticeably. It fills up quickly and deflates quickly using the same pump. They also appreciated the included storage/travel bag. This is our “Best on a Budget" recommendation. People like it – as long as you don’t expect it to be the Sound Asleep Dream Series (our top recommendation for both top rated and best seller). It’s much lighter than other alternative options on the market – so if you’re not looking to haul out a large 20lb bed for every guest or you’re off on an adventure than this might just be right for you. 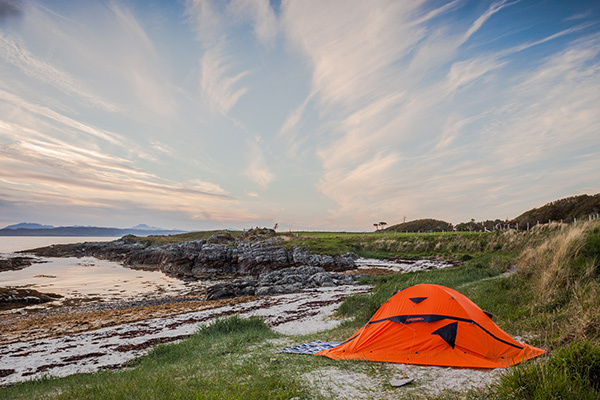 We have reviewed a lot of products on this page, and that includes most of the best inflatable mattresses in the market, and you will enjoy what we have in store for you. The Coleman Air Mattress is a steal for the price. It’s thick and contains built-in springs (called “Comfort Coils”) that create a classic shape and provides additional support for your back while you sleep. It’s a full 18 inches thick. Some customers have reported that this one seems to stretch slightly after use, but as it turns out, this is a common issue, and it does not mean it is losing air – it simply stretches a bit after a few uses. Of course, an automatic pump and deflator are included. However, it is not waterproof, and does not contain anti-slip material on the bottom. It weighs 17 pounds and can support around 350 lbs. What we love most about the Coleman Air Mattress is it’s the best deal for having that many features and still keeping a relatively low price. You really can't go wrong buying the Coleman Air Mattress. It's one of the top inflatable or blow-up bed that we have reviewed on this site. ​Its quality design will surely not disappoint. Comfort Coils provide shape and ideal support. The top of the bed is covered with a soft material like a sheet. Comes with bag and can be rolled up easily. Weighs 17 pounds – not perfect for traveling. Previous buyers found this one very comfortable, but they had mixed experiences with reliability. Several wrote that their beds leaked or suddenly deflated, which meant they had to contact Coleman for a replacement. However, many buyers complimented Coleman’s customer service. The company promptly shipped out replacements, which were more reliable over the long term. We’re assuming they’ve modified the material somewhat. In any case, it’s probably not a good choice for heavier users. We think you should look into this bed if you’re the type of person who has a little more to spend on the features you want – but also doesn’t want to get ripped off. While this may be too heavy for you to grab on the go, it would probably make an excellent addition to the spare closet. A lot of enthusiasts have dubbed the Coleman bed as the best air mattress for guests. It's comfortable, affordable, durable and provides excellent support for your back. What else can you look for? You should always beware of advertising traps, not wanting you to get ripped off is why we wrote this site. 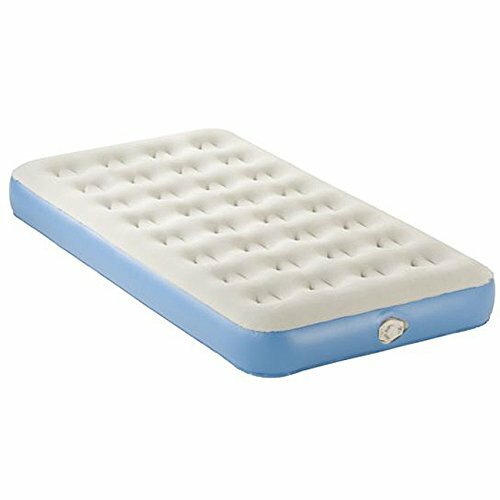 The three air mattress models that we discussed in this page are – in our opinion – the best models in their categories.. You have probably already decided which one is the best inflatable bed that is ideal for your situation. In that case, let me wrap up with some simple air bed advice. Sometimes air mattresses lose air – it’s natural – happens over time. If you notice that your blow-up bed has lost a lot of air, only turn on the electrical pump, and fill up the inflatable bed. Of course, if there happens to be a hole in the air bed, there’s no shame in asking for a refund or replacement, most air mattresses come with warranties, take note of them. ​You should also avoid piling too many people onto one air bed, the weight limit of even the best air beds depends on the material and quality, some blow-up beds can support a few hundred pounds. On the other hand, it’s better not to push the limits, try not to jump on the blow up bed or put too much stress on it, not only will this prevent punctures, but it will increase the lifetime of the product. 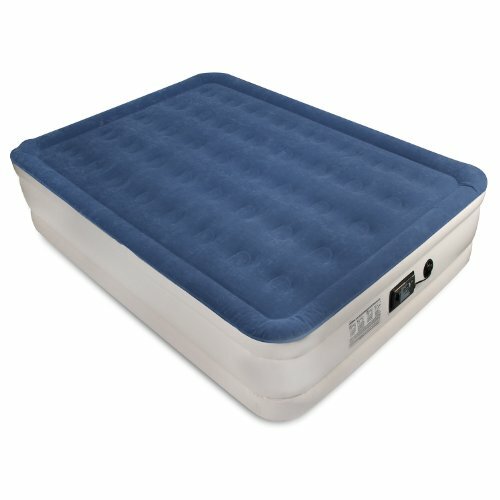 ​Thanks for taking the time to visit this website, and we hope you found your ideal airbed. Before you leave, take a moment to check out some of the other pages on our website. If you’re looking for other options try looking at our overall Best Mattress Reviews page. We hope that our review of the best air mattresses have helped you on your quest to find the most fitting product for your needs. We are confident that you won't regret picking one of our choices. ​So, good luck in your shopping and happy sleeping!